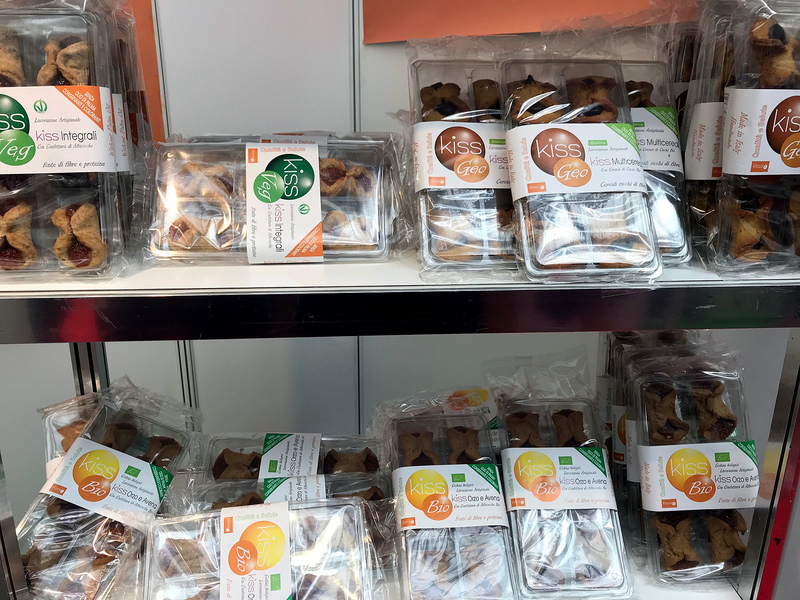 For us expats in London, the fair has now become a yearly event to try out some regional food, meet friends and colleagues and feel a little bit nostalgic too, because we can find products that we only usually buy back home.. from groceries to pasta to wine. It is hosted in the pretty settings of the Royal Agricultural Halls in Victoria. 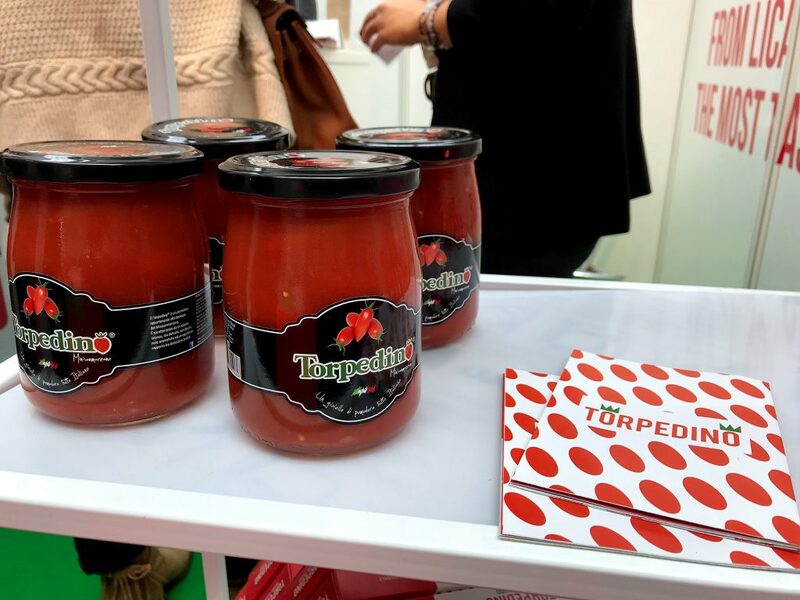 This year, Basilicata and Lazio had prominent space, promoting tourism as well as their food excellencies. While a lot of the stands are dedicated to wine and olive oil producers, there’s something for everyone. There is also a chef’s theatre where a number of well known chefs demo some of their dishes. Introduced by Joe Hurd, this year the likes of Theo Randall and Matteo Riganelli took part. 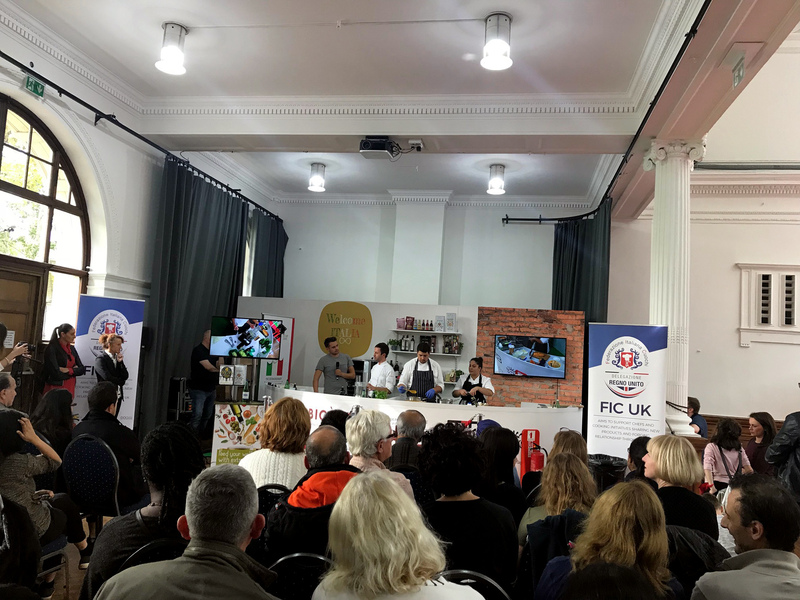 We were there however to see the demo by one of our favourite chefs in London, Danilo Cortellini – chef at the Italian Embassy and former Masterchef Professionals finalists. We love his food, and have seen him before… so we were not going to miss his cooking show! 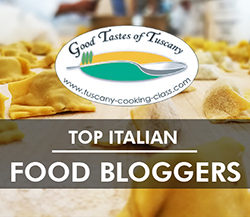 He showed us how to make two dishes, a seasonal pumpkin vellutata and a delicious baccala’ mantecato (creamy salt cod) served with the most delicious polenta. The polenta itself was wholemeal, grainy… sadly only available to the trade, it was so good, I asked Danilo for a second helping! 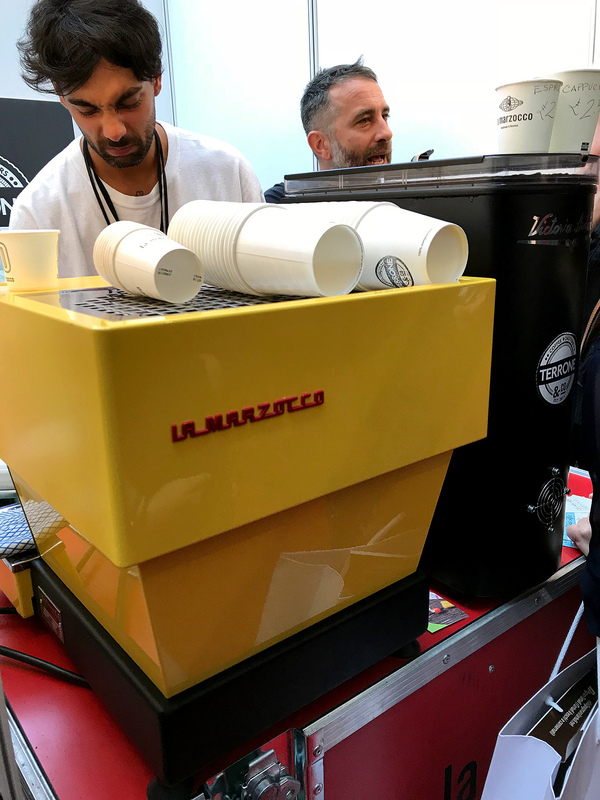 After the tasting, we stopped for a coffee at our friends’ Terrone & Co where we had a chat with Leo and owner Edy, always fun. 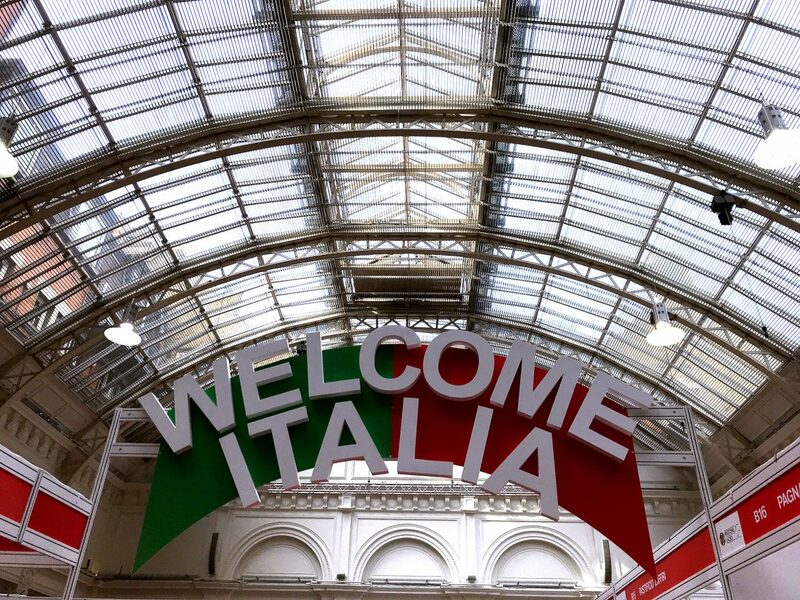 Welcome Italia is free to attend, so we’ll definitely go back next year for more.